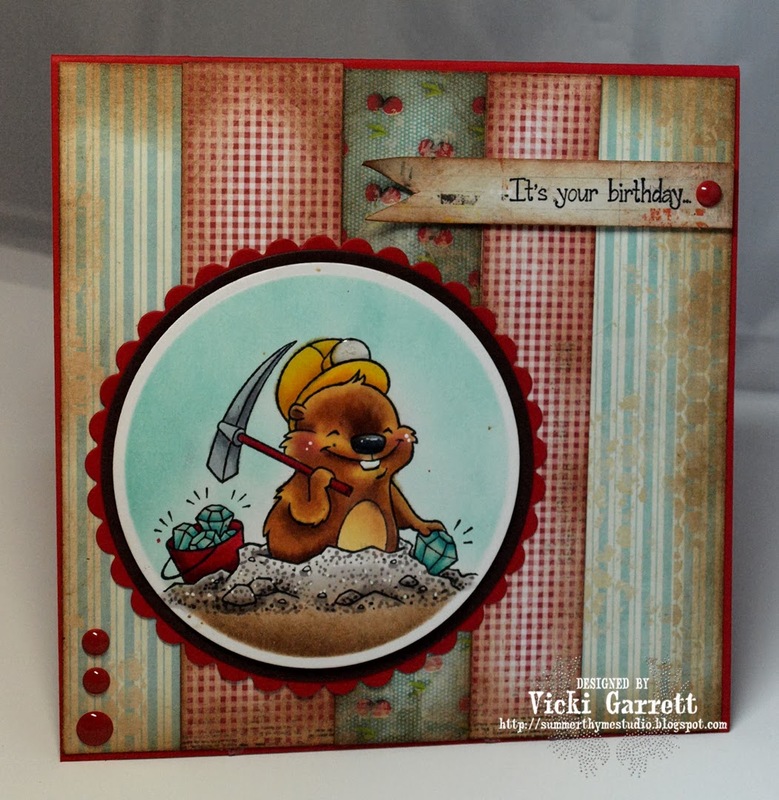 It's your Birthday!- Gopher it~! Just a quick idea to use up odds and ends of Christmas Wrap (If you haven't got it all stowed away already!!!! 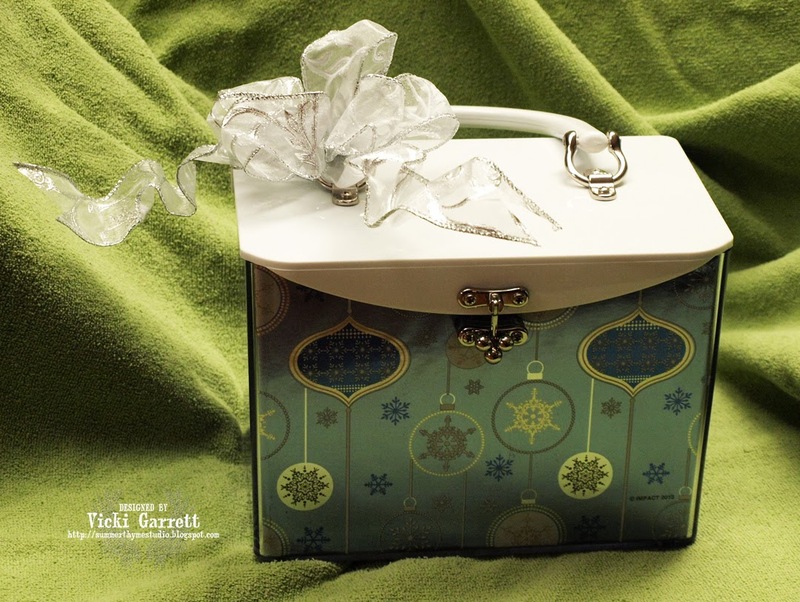 I made this fun purse insert with some Funky Christmas Wrap that I had left over. I'll be all ready for my Holiday Parties next year!!! 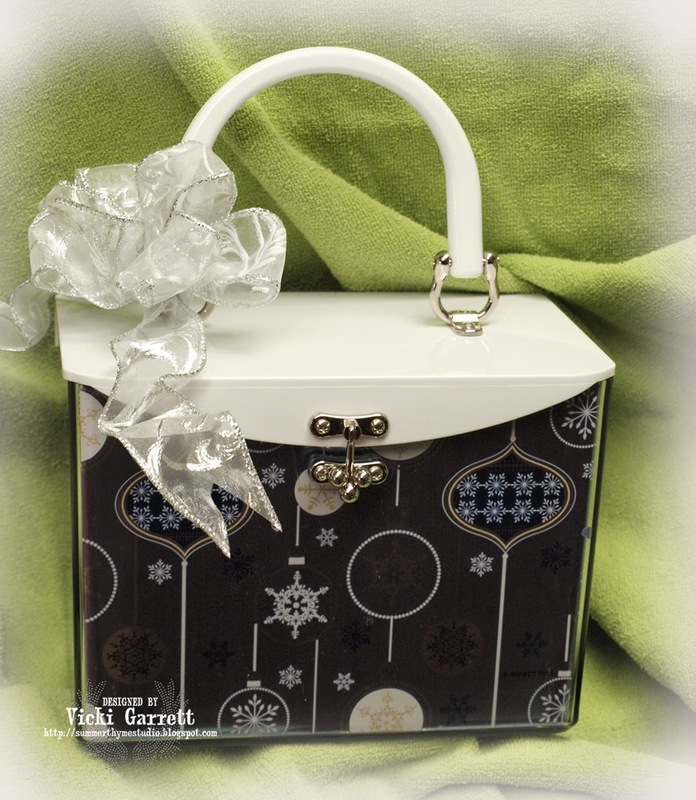 How are all my Crafty friends today? I really like the intensity of the Derwent Pencils on the Kraft Paper. In the past few months, I've really enjoyed delving into the world of Mixed Media. 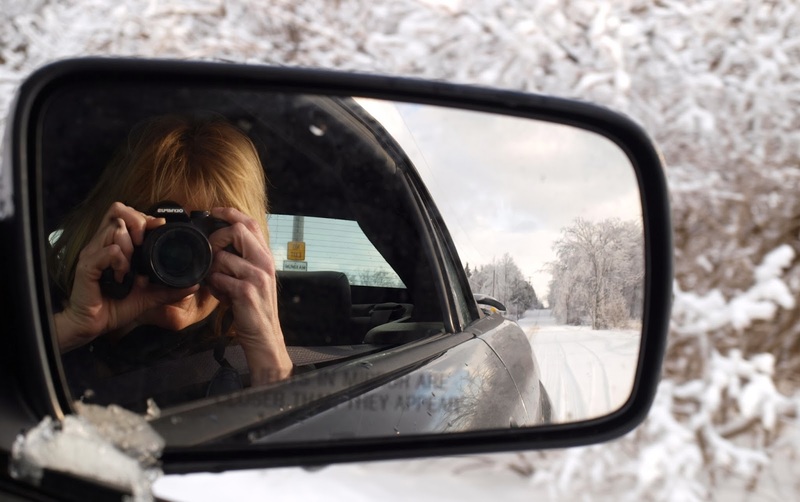 It allows me to go to places i've never been and to experiment with fun techniques. I'm loving the free expression of my creativity. I've never been what you call a "technique" oriented stamper, but rather preferred colouring, a cleaner style and a more "white bread" approach to paper crafting. So this Art Journalling Calendar Project is perfect for me!!!! Then I punched out the Circles and Hearts with some Pink Paislee Paper, inked around the edges and adhered it to the background. Using my Foutain Pen and Chocolate Ink, I outlined the edges of the punch outs, to give them more dimension. I added a touch of Doodling, as well as hand lettering the Title. To finish up, I sponged and added the Cupid Die Cuts and the Floral Heart Strip and some Corner Metal Stickers from Close to my Heart. I'm Happy with the way the page turned out. Art Journalling seems to be my new Solace. I finally got a chance to play with some of my Super dee DUPER Seniorita Stamps! I've had them foreva and they were CRYING to be inked!!!! Sooo, I thought what the heck...... I'll play the Bellarific Friday Challenge! I was on Blogabella the other day and Em says a new release is on the way!!!! Make sure you check out BLOGABELLA in the coming days so you won't miss the goods!!! As you know, I am a fan of Hearts!!! Grandma was in her 19th year. This picture was taken either shortly before or early into her pregnancy with my Mother. She was an absolutely stunning woman, even into her 80's. Her Bright Blue eyes never fading. I definitely inherited my love of crafting and music from her and am so grateful for that. I know she watches over me and that is a comfort. 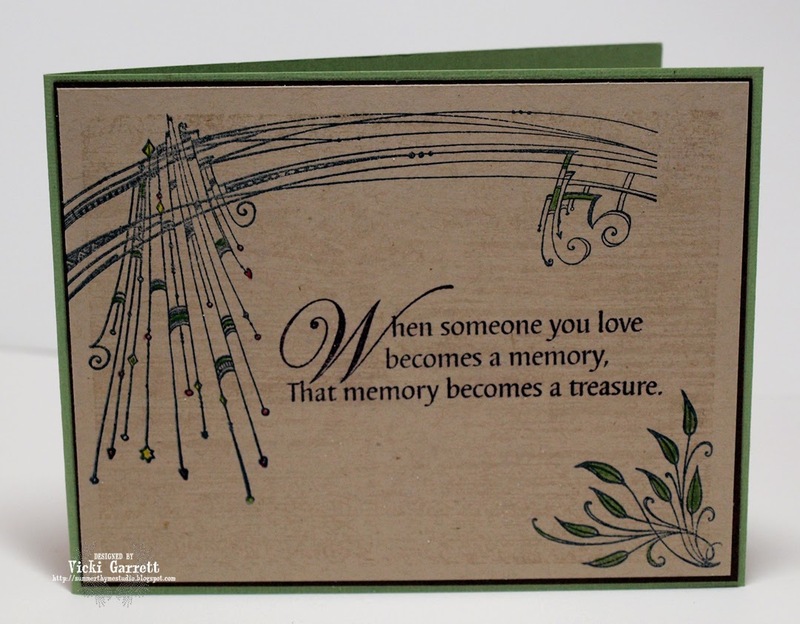 For this Layout, I used the following Stamps"
Hanging Notes. Rather than stamp right down on the paper, I rolled the foam mounted stamp "here and there"
The Flowers and "Love Brads" are From Prima Marketing Inc.
Vintage Photo Ink for Distressing! Good Morning! 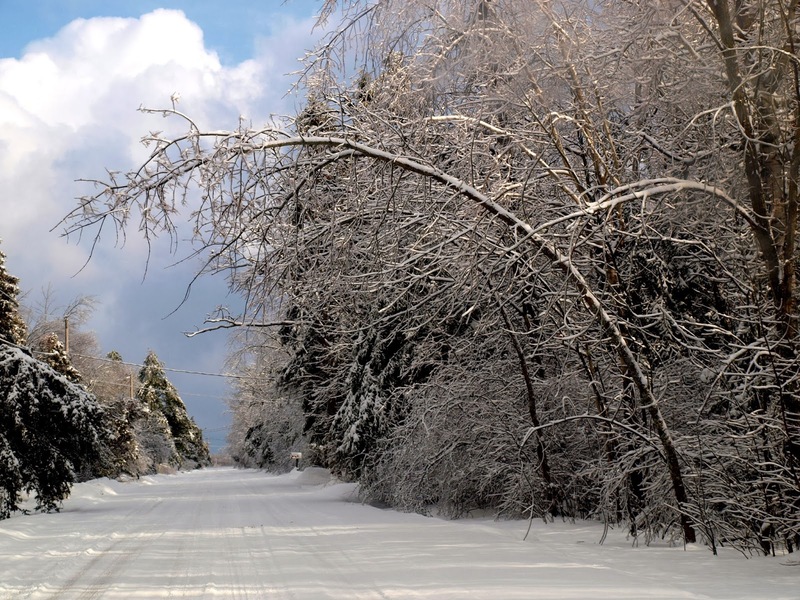 Hope you're all enjoying the same "balmy" winter weather that we're enjoying here in Eastern Ontario! It's been above the freezing mark for a few days now and quite enjoyable!!! 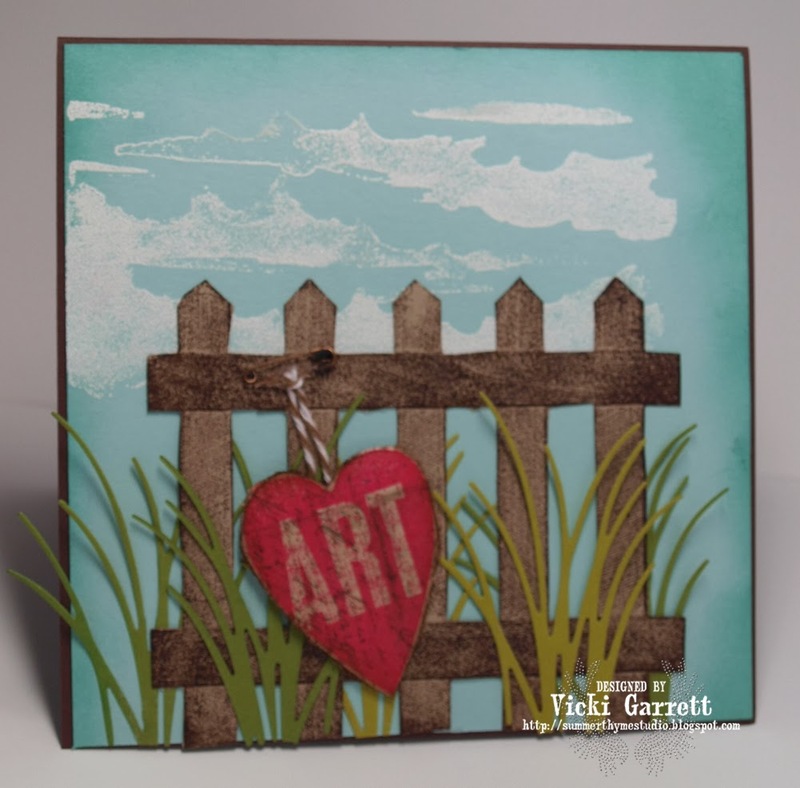 The adorable stamp is from the Bee Benton set at Inky Antics Stamps. How Cute is he!!! The challenge will run from 1/6/2014 to 1/31/2014. Our Guest Designer will get a $30 Gift Certificate, a special badge and will have their projects featured on our blog throughout the month of March 2014. Make a project (card, scrap layout or any project that works with the sketch) using the provided sketch and upload it to your blog or online gallery. Leave a link to your project using the link widget at the bottom of this post. 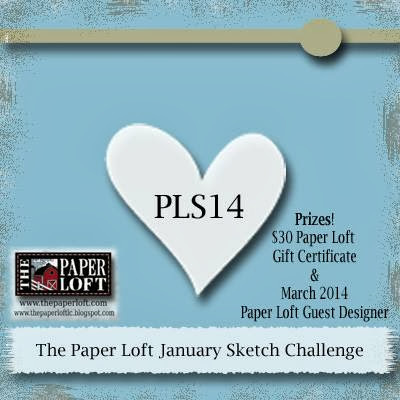 The Paper Loft products are not required to participate, but the winner will be chosen from a participant that uses The Paper Loft products somewhere on their project. Here is a Colour Map to go with the colouring.....I used a touch of Glossy Accents on the Honey to make it look sweet and sticky! Today is the Final Day of the Hop! I decided to save my FAVE Heart card for Last!!!! 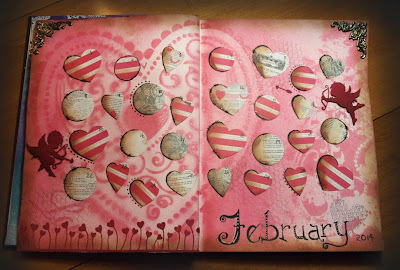 If you click on the picture, you can see that I have stamped the Red Hearts with the Coordinating Hearts from The Valentines Hearts Clear Set which has a fabulous array of hearts along with three sentiments, including the one that I used on the card. 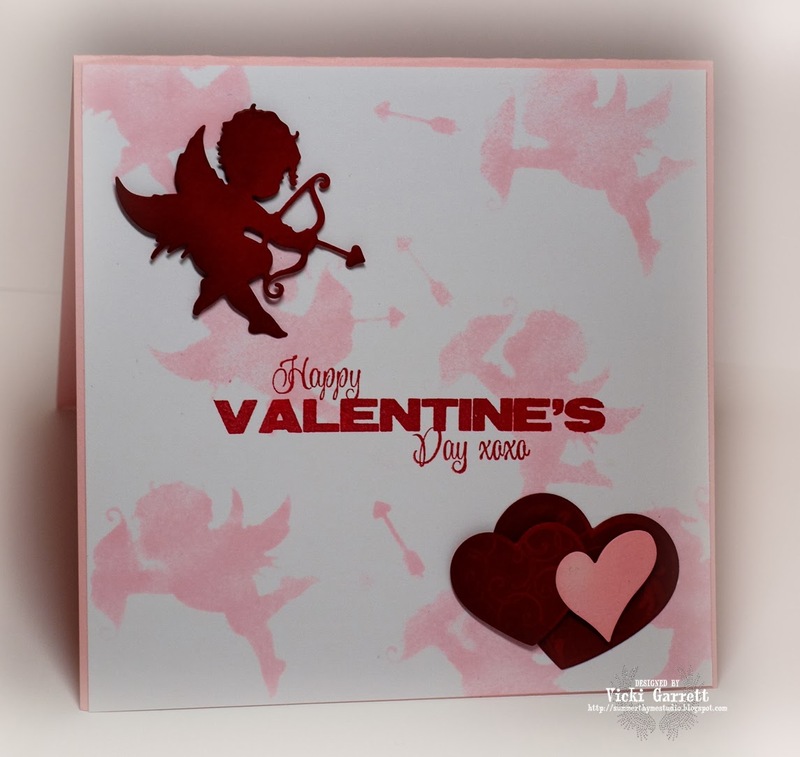 To make the "Cupid Print Background Paper" I simply used the Border around the cherub cut out and Sponged in some soft pink ink. Super Easy!!!!! I hope that you've enjoyed the hop this week and wish you luck to win some fabby IO Bucks! What was your favourite set this week? How about the dies? Any Favourites?? I'm the last stop on the hop.........so the next stop is the Beginning , unless you heard mine whines and started with me!!!! Thank you SO much for your wonderful feedback on my peeks. It truly means a lot~ Now get on over to the IO Blog to get all the deets on the prizes !!!! Hope that you've been enjoying this amazing hop! 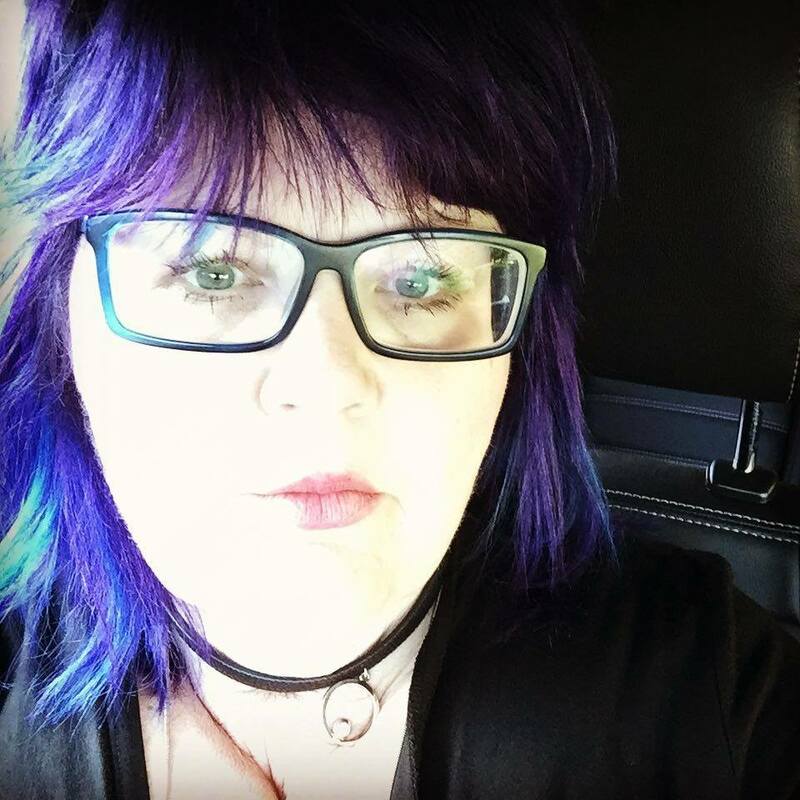 Have you just arrived from Laura's Blog? 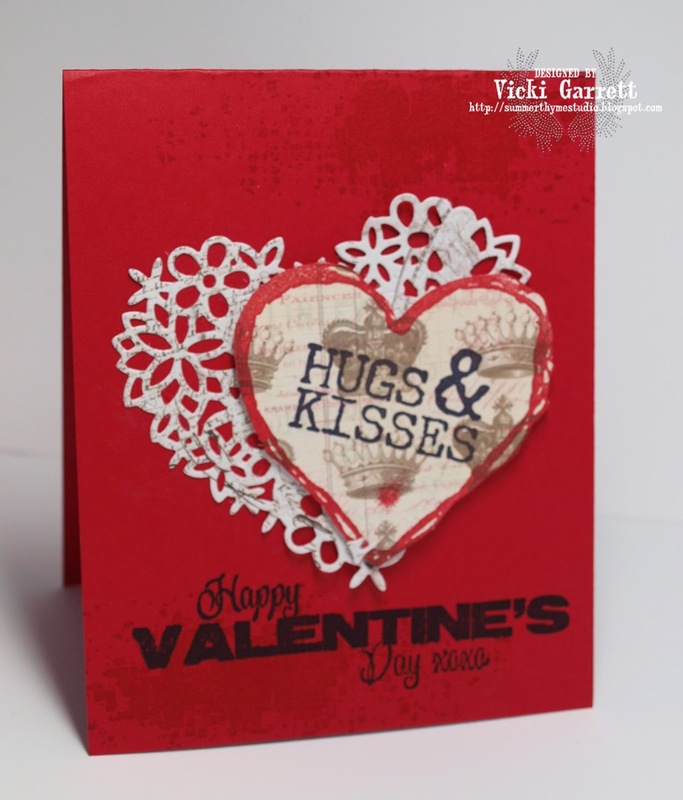 I've had such fun creating these cards for you and as you can see.....my Heart Obsession with Impression Obsession Hearts go on!!!! This Concludes the end of the Hop!!! Get all the details for winning some fabulous Rubber HERE! 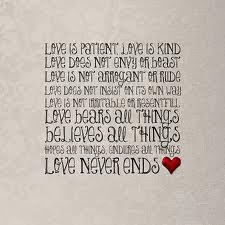 Love is all you need! Hoppin' with IO Stamps! I am a TOTAL fan of Hearts! If you know me and see me, you'll know that about 80% of the time, I am donning a Heart Necklace. Most are Sterling Silver, but I have a couple that are off the beaten glass. 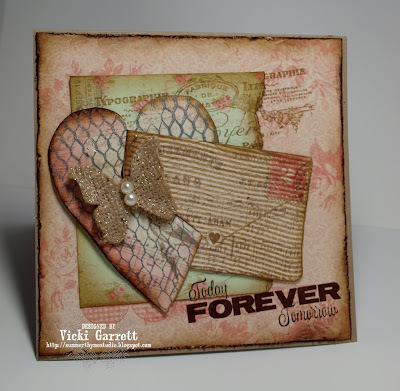 I LOVE Winter Release at IO Stamps, because Mitra always has new Heart Stamps and Dies for my (and your) pleasure!!! That's a lot of "Hearty" Goodness.......hehe!! To give the sentiment and touch more pizzazz, I Stamped it twice. First on the Card Front in Black. 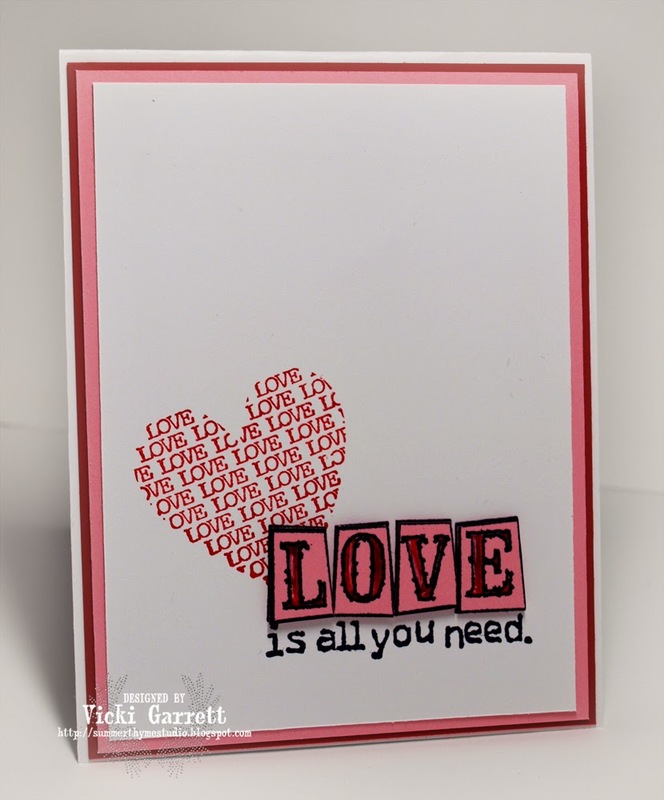 I then stamped a second time on Pink with Black ink, colouring the letters in red ( I love the pink/red combo) before mounting them on Dimensionals!!! I'm always the last stop on the Hop...... I could Sigh and Say.....woe is me....or I could over inflate and say "Saving the best 'til last! HA!!!!) No matter what I say....Hop on over to the IO Blog to start the Hop!!!! The hop will start each day with a list of participants on the Impression Obsession Blog at 6am EST. 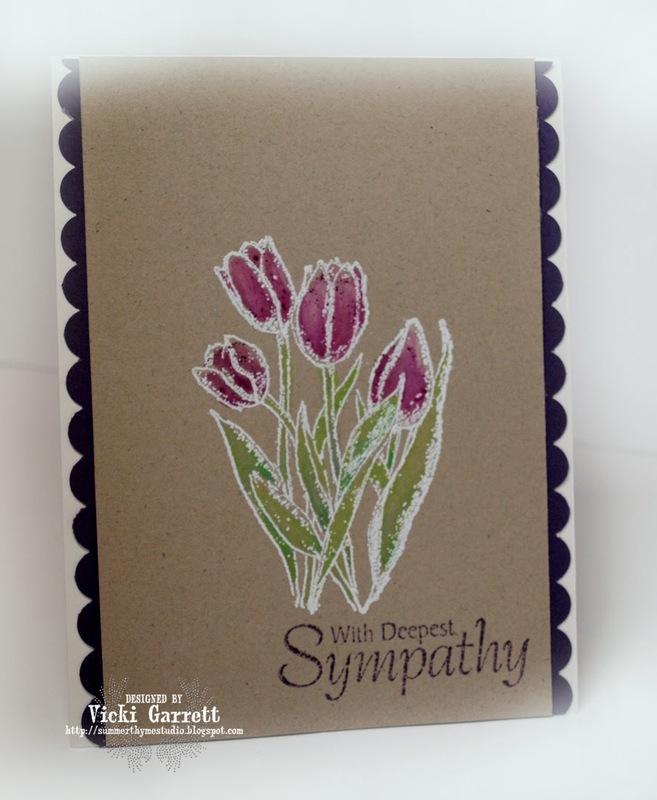 Each day pay us a visit here and then head over and see our fabulous IO Design Team’s projects with our new stamps & dies on their blogs (only one comment per blog per day please). The more blogs you visit each day the better chance you will have to win! Every day (Monday Jan 6th – Friday Jan 10th) one of the blogs will be chosen randomly and a winner will be selected from comments on that blog at 10pm CT. The winner will be announced the following day along with the participating blogs for that day. Two prizes will be awarded on the last day of the hop. One will be for Friday’s comments and another will be chosen from all the comments left throughout the week. So if you miss a day or time deadline your comments will still count for a chance to win a $25 Impression Obsession Gift Certificate! Today is day two of the IO Stamps Spring Release Blog Hop! I hope that you enjoyed yesterday's creations....all I can say is WOW! We have some talented Designers on this Team!!!! This Zenspiration Alphabet is Hot Diggity Bomb!!!! I can see myself using it a LOT! 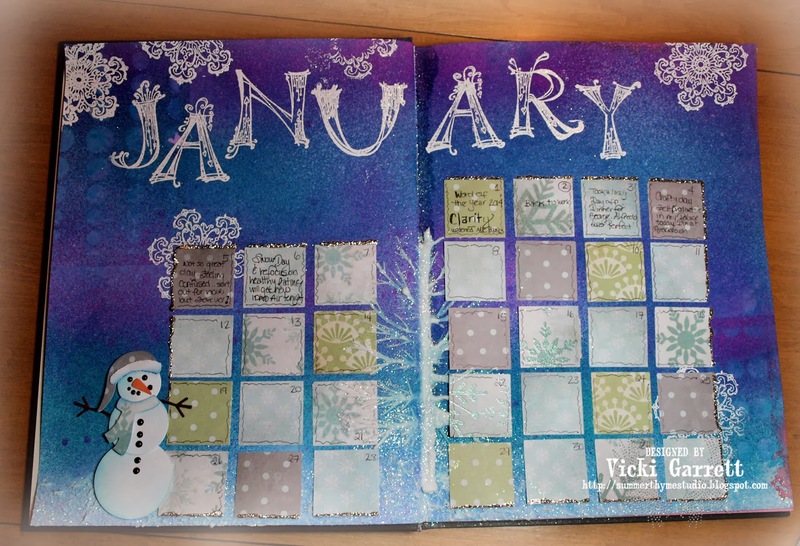 It's very Art Journally, isn't it? 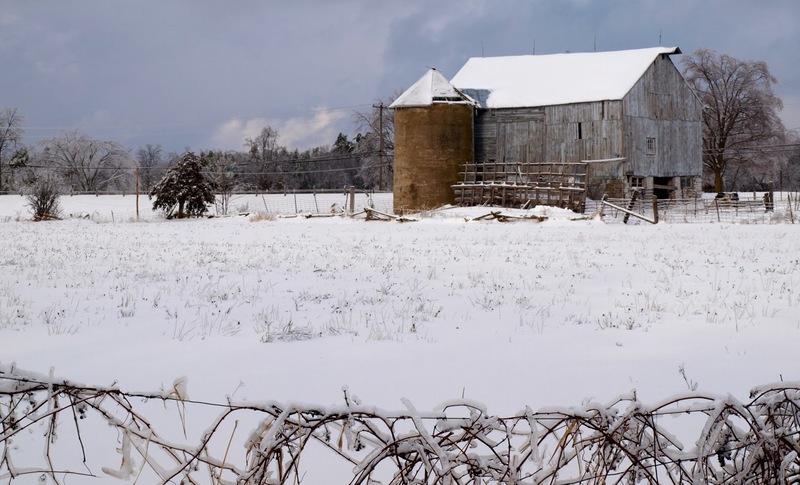 In my mind, a Sweet Snowman always compliments a wintery scene! The Snowman set makes the Perfect Snowman! Once again, I'm the last Stop on the Hop! If you haven't been hopping though, Head on over to the IO Blog to get started!!! Be sure to leave comments along the way to increase your chances of winning some new Goodies!!!! 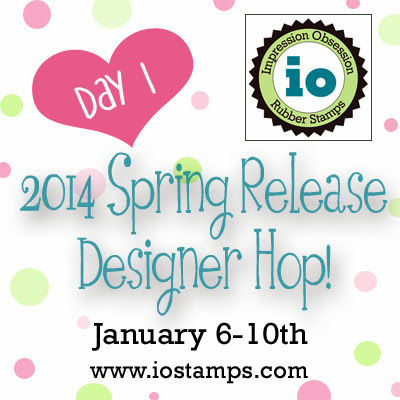 Welcome to Day 1 of the Impression Obsession 2014 Spring Release Designer Hop! 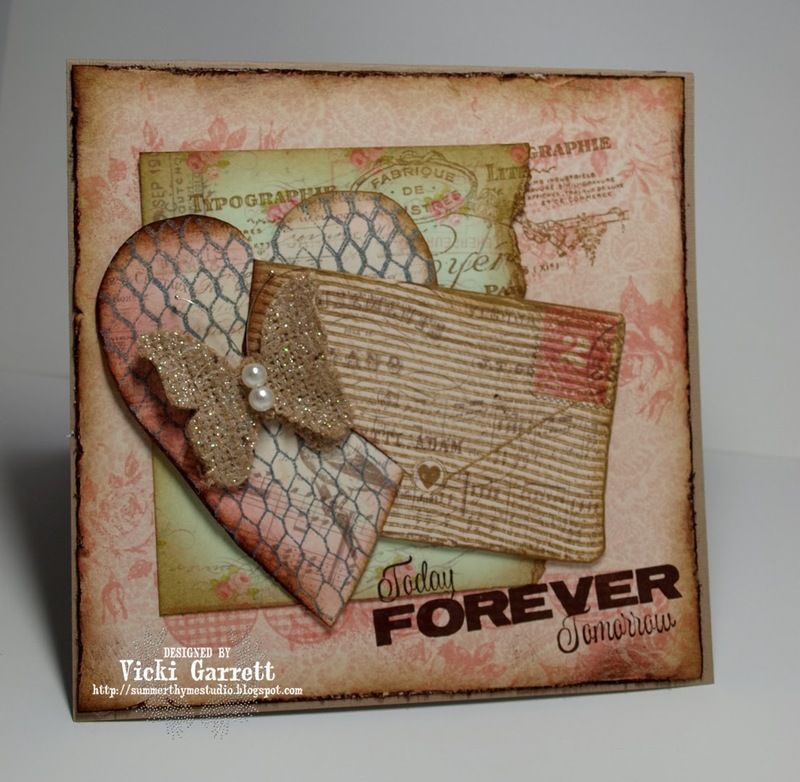 Lots of Stamps on this card and I LOVE LOVE LOVE how it turned out! The Paper is from Pink Paislee! We have some beautiful CHA peeks to share AND Gift Certificates to give away each day!!! The hop will start each day with a list of participants on the Impression Obsession Blog at 6am EST. 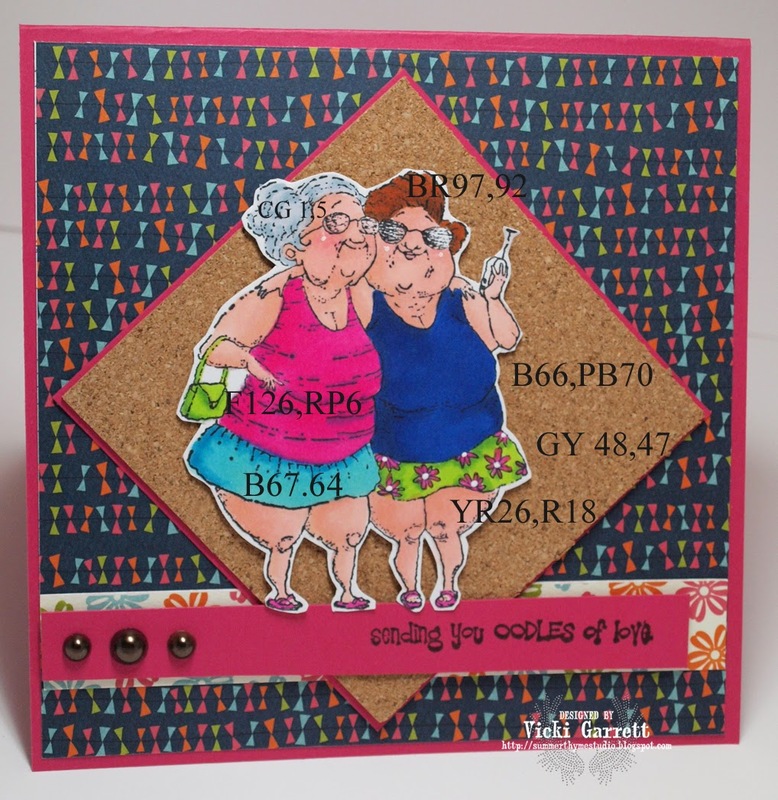 Each day pay us a visit and then head over and see our fabulous IO Design Team’s projects with our new stamps & dies on their blogs (only one comment per blog per day please). The more blogs you visit each day the better chance you will have to win! Two prizes will be awarded on the last day of the hop. One will be for Friday’s comments and another will be chosen from all the comments left throughout the week. So if you miss a day or time deadline your comments will still count for a chance to win a $25 Impression Obsession Gift Certificate! Both Friday winners will be announced on the IO Blog on Saturday. 'Cause I'm the Last Stop on the Hop! 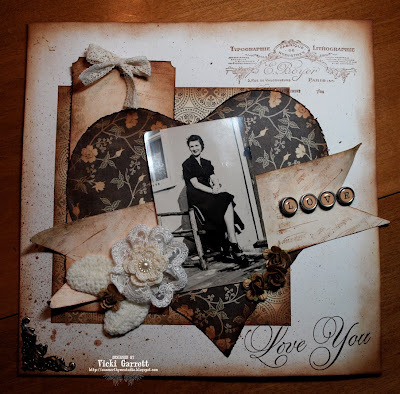 If you've come here first, head over to the Impression Obsession Blog to start the Hop! Love, was made for you and me...or is that me and you?? Not sure, but what I DO know, is that it takes two! Two to make it or break it. Two to invest their hearts and energy into a common goal. I love this verse from Corinthians...it is SO True!!! Anyway our Challenge this week is to create a Blue Card! Here's my Blue for you Valentine! 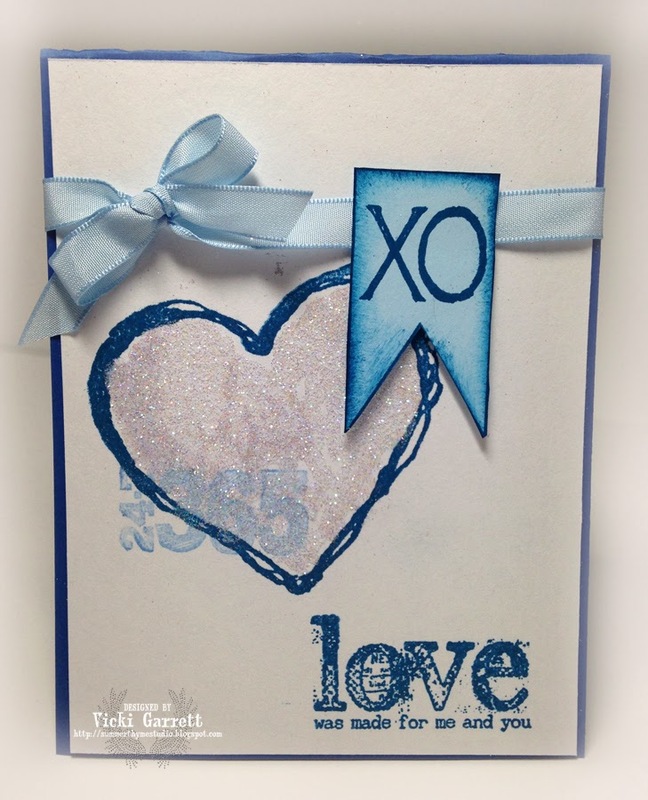 Ink is Bashful Blue and Pacific Point by Stampin Up! Make sure you head over to the IO Blog to load your entry for the challenge and have the opportunity to win a gift certificate! It's the perfect time to get some new Rubber! 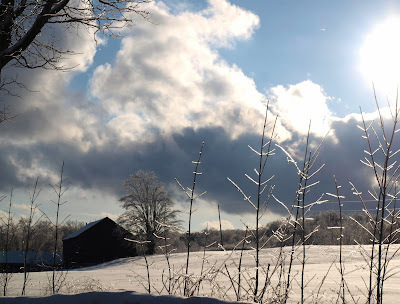 Over the last few days, I pondered over what word would guide me this year and I was having difficulty really, as there are many wonderful words that can act as a guiding principle. None of them felt just right. Clarity is the quality of being clear, in particular the quality of coherence and intelligibility. Clarity is the quality of being certain or definite. To focus on my spirituality as opposed to my worldly needs. To nourish my soul in an effort to gain peace of mind, focus and to have a better energy to effect others around me. With Clarity comes a better understanding of purpose: self purpose, purpose of relationships, the purpose of personal goals. What word will guide you this year?